The first session back following the Summer break was very well attended, with guest artist, Barry Herniman. 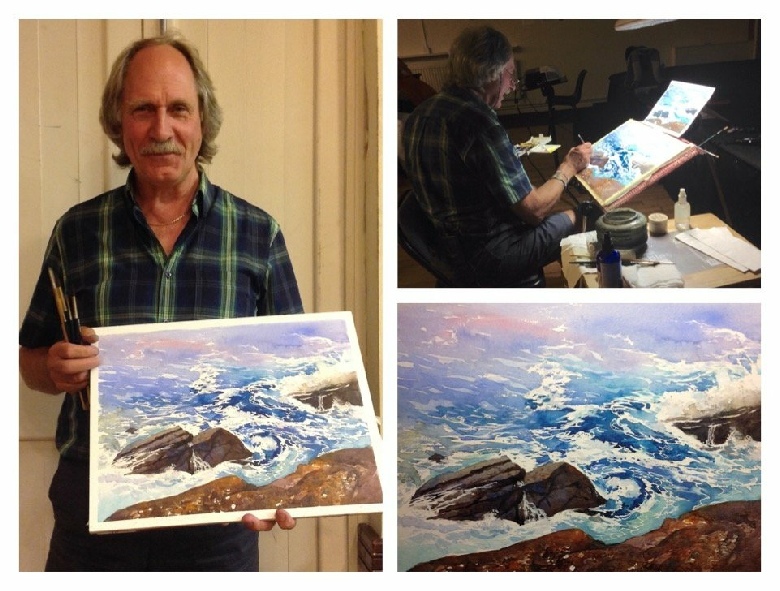 Barry worked on a painting, 'The Power of the Sea' with great skill & enthusiasm. During his lively presentation, he shared his watercolour techniques, giving tips & advice to the audience.